Here is everything I will possess for the next six months of my life. This trip will be a lifestyle change for me in many ways. I am a notorious over-packer. I like to have outfits for all occasions, including matching shoes and handbags. I look for excuses to dress up and I pack things "just in case." On this trip I am taking only what I can carry on my back (and carry on a plane). This will be a temporary hiatus from of my "Daily Style" posts and "Collections". I am not dressing to impress. I am dressing for comfort, convenience, and movement. I once vowed never to wear Crocs. I once vowed never to wear yoga pants outside of a gym. 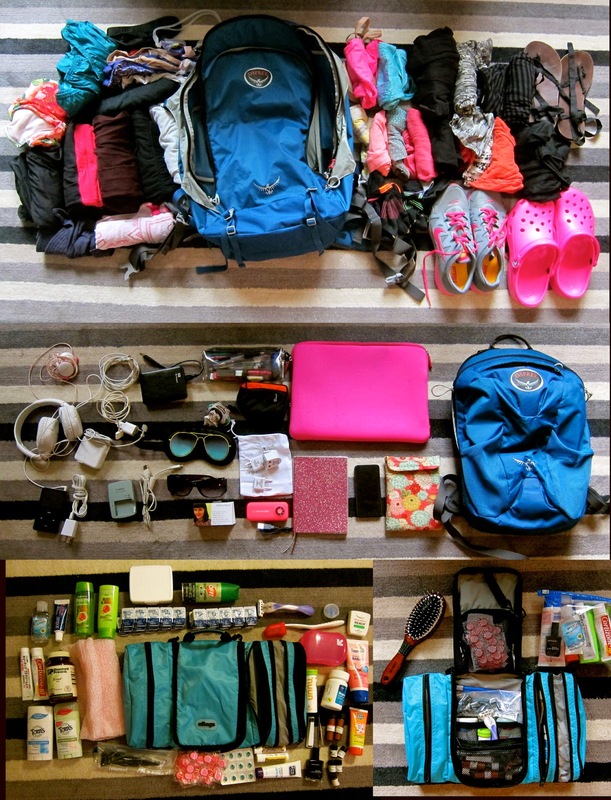 I once vowed never to be a "backpacker." I think it's time I stop making all these ridiculous vows.